In order to provide truly high-quality plastic products, plastic manufacturing companies need to put their customers first. Jaco works with their clients to make the design and manufacturing products a much more simple and efficient process. Offering a plethora of services, Jaco can get you the exact product you need at a quality that will exceed expectations. Jaco is a plastic manufacturing company with over fifty years of experience, and they have built a reputation for excellent customer service and unparalleled quality in the design and production of plastic products. They want their customers to be entirely satisfied with their product. From the prototyping phase to putting the final touches on your product, Jaco will be there to help. Jaco also specializes in precision plastic machining. Using state-of-the-art CNC machining centers, Jaco is more than capable of meeting current industry demands. Jaco’s expertise in plastic manufacturing allows them to supply a wide range of industries such as aerospace, medical, and military. With the modern technology at their disposal, Jaco can provide their clients with top quality products in an efficient, cost-effective manner. 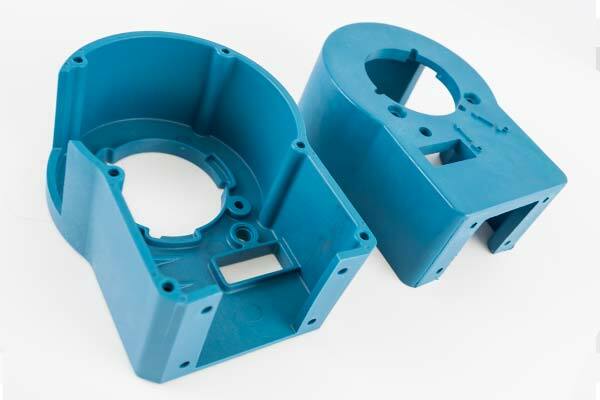 In addition, Jaco offers custom stamping for plastic production components as well. Their plastic stamping presses range from 18 to 60 tons; therefore, they can stamp up to maximum thickness from high-pressure laminates, nylon, polyester, and a variety of electrical insulating materials. If you are looking for plastic manufacturing companies in Ohio, Jaco is the best solution for all your plastic product needs. With five decades of experience and state-of-the-art technology, Jaco can provide impeccable customer service and products. With Jaco, you can expect to receive a product that fits your exact specifications at a reasonable price. Jaco is a leader in quality and efficiency, and they are a plastics manufacturer you can trust.